New iOS 12 Features: 9 Things We're Excited About! 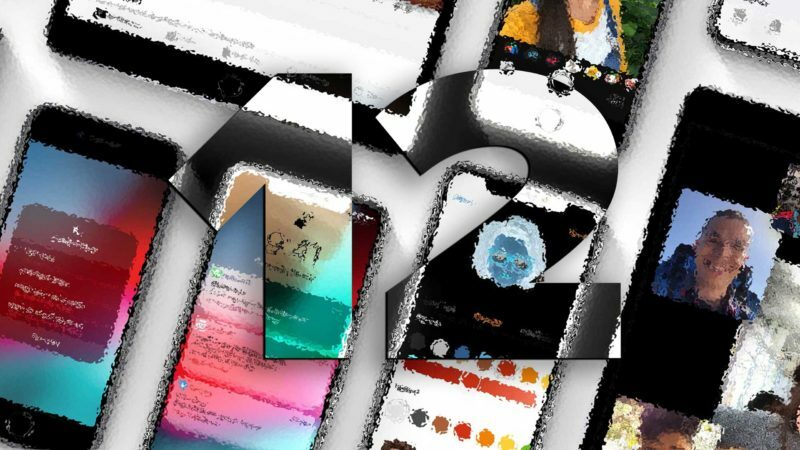 You are at:Home»iPhone»iOS»New iOS 12 Features: 9 Things We’re Excited About! The Apple Worldwide Developers Conference took place last week and we got our first look at iOS 12, the next major iOS update. Although this update won’t be made public until fall, we have early access and we want to give you a sneak peak of what’s to come. In this article, I’ll discuss 9 new iOS 12 features that we know you’ll be excited about! 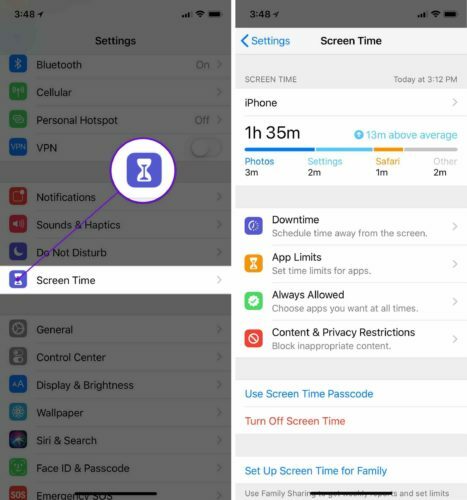 The first thing that jumped out at us when we opened up the Settings app was a new iOS 12 feature called Screen Time. Just as you’d expect, this feature tracks how much screen time you spend in each of your apps. Downtime: Allows you to schedule time dedicated to putting down your iPhone and doing something else. This is especially great if you have kids who like to stay up all night texting and playing games! App Limits: Allows you to set up time limits for how long you or someone borrowing your iPhone can spend in a specific app. Spend too much time on Facebook? App Limits will help you out. Always Allowed: On the flip side of restricting access, Always Allowed allows you to give you or someone borrowing your iPhone unlimited access to an app or apps. Apps selected here will be always be available, even during Downtime. Content & Privacy Restrictions: This will block an inappropriate content someone could come across while using your iPhone. This iOS 12 feature is especially great if you have young kids who own iPhones. This iOS 12 feature is something people have been waiting for. It used to be that notifications weren’t grouped together, and you could wind up with a laundry list of messages and other notifications. That’s no longer the case with iOS 12! Now, notifications are grouped together to reduce the clutter on your iPhone’s Home screen. One of the best features of iOS 12 is the improved performance it’ll bring to your iPhone. This isn’t a feature you’ll find in the Settings app, but you will notice the difference on your iPhone. The first performance upgrade has to do with your apps. With iOS 12, your apps while launch up to 40% faster. The camera will also open 70% faster when you swipe right-to-left to open it from the Home screen. When you go to use the keyboard on your iPhone, it will appear 50% faster and keyboard animations (as well as other animations) will appear smoother and more efficient. Before iOS 12, you could only FaceTime video or audio chat with one person at a time. With iOS 12, you’ll be able to FaceTime with up to 32 people at a time. Next time you have to coordinate a big family event, use FaceTime! One minor change that may have a big impact on iPhone X users is a slight change to the app switcher. You used to have to press and hold an app before swiping it up to close it. Now, you can just swipe the apps up and off the top of the screen! After you install iOS 12, you’ll find a new app on your iPhone: the Measure app. This app allows you measure or level things using your iPhone’s camera. 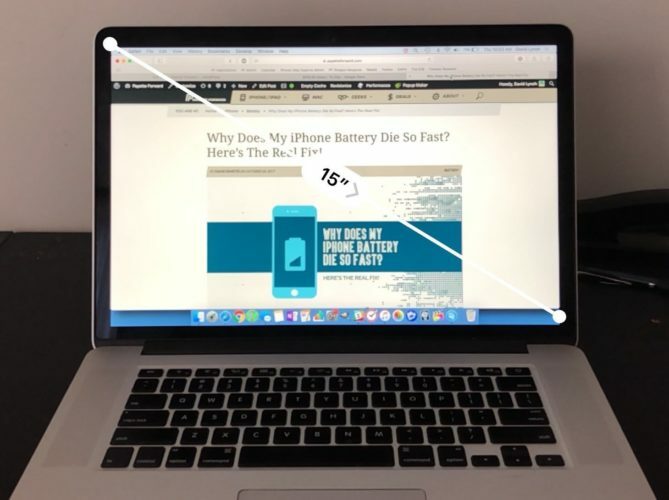 These measurements aren’t always going to be perfect, but after a few tries I got the hang of it and successfully measured my 15-inch MacBook Pro. For now, I don’t recommend using the Measure app on your next big construction project, but that’s not to say the Measure app won’t improve in future iterations of iOS 12. Do Not Disturb is one of our favorite iPhone features and it just keeps getting better. When Apple released iOS 11, Do Not Disturb While Driving was introduced. One of the newest iOS 12 features is another improvement: Do Not Disturb During Bedtime. Do Not Disturb During bedtime silences the notifications you receive overnight and dims the brightness of your display. That way, you won’t be woken up in the middle of the night by annoying notifications. Another one of the new iOS 12 features you might have missed if you didn’t know about it is the new and improved Battery section in the Settings app. You’ll now find fancy charts and information about battery usage for the last 24 hours and 10 days. In the screenshot below, my iPhone says “Last 2 Days” because I only installed iOS 12 two days ago. iBooks is now Apple Books! 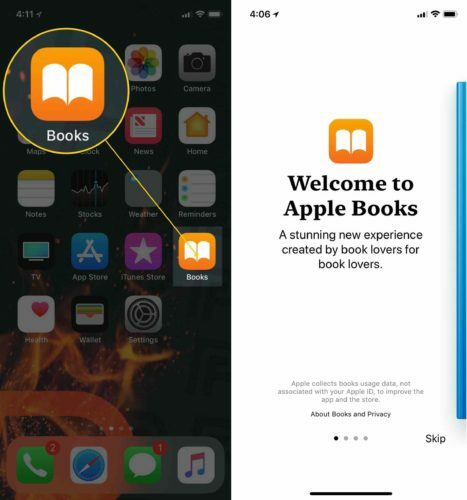 It’ll appear as Books on your iPhone’s Home screen, but as soon as you open the app for the first time, it’ll say, “Welcome to Apple Books”. That’s our little sneak peak into what to expect when iOS 12 is released. As I mentioned earlier, this version of iPhone software won’t be public until the fall of 2018. Leave a comment below and let us know which of the iOS 12 features you’re most excited about! Previous ArticleiPad Volume Buttons Stuck Or Not Working? Here’s The Real Fix! Next Article How To Screenshot On An iPhone: The Simple Guide!